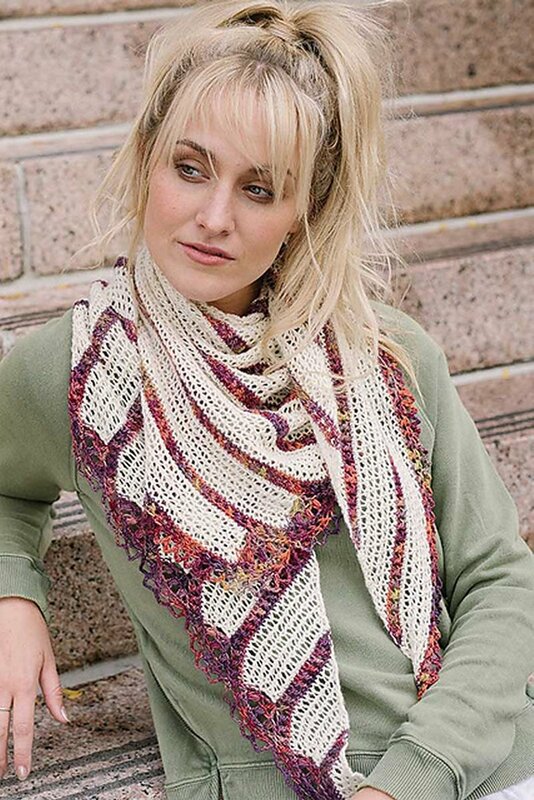 Taken from: Interweave Crochet Magazine Spring 2017 "Capital Shawl" - Rays of color bloom into puff-stitch flowers as refreshing as the first breath of spring to create a warm yet lacy shawl that's blooming with color and style. 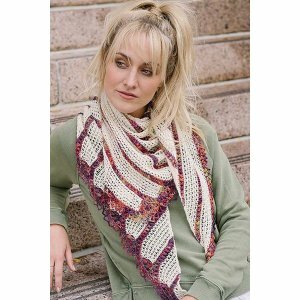 This pattern is from Interweave Crochet Magazine Spring 2017 pg. 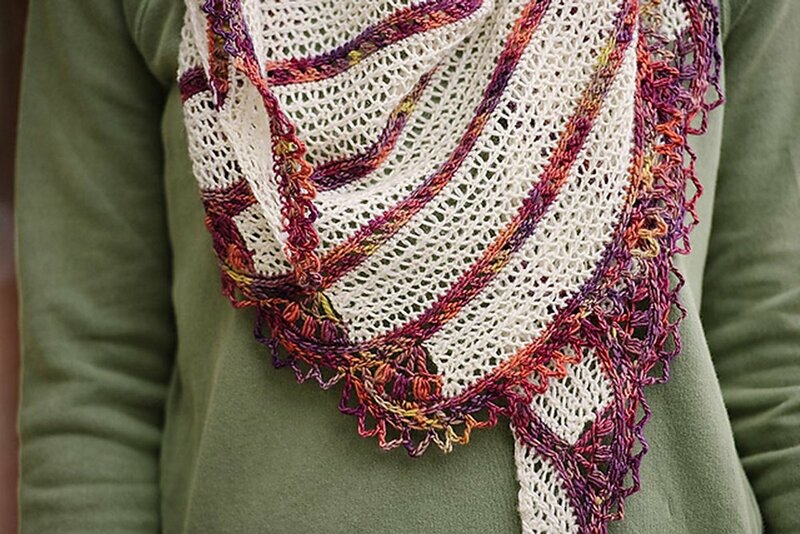 40 "Capital Shawl". Hook size F/5 (3.75 mm) (or size needed to obtain gauge) are required but not included. Notions required but not included: yarn needle, locking stitch marker. Finished Measurements: 75" wide (tip to tip) and 24" deep (widest point). Gauge: 22 sts and 12 rows = 4" in linen stitch patt after heavy blocking. Color Shown is 063 Natural and 850 Archangel.